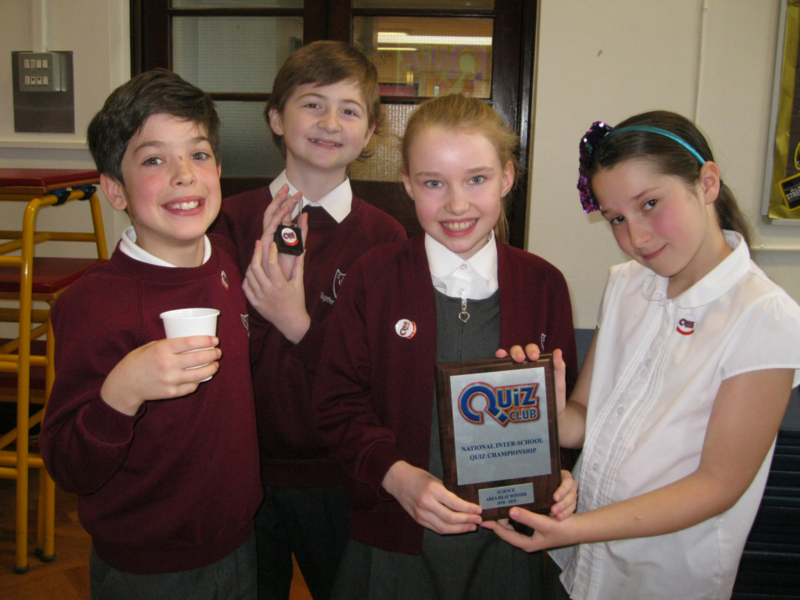 It was a fantastic start to the week today as Earls Hall triumphed at the Science Quiz tournament! Eight of our children from upper KS2 pitted their wits against the top scientists from a number of other schools. The other schools competing were West Leigh Juniors, St Katherines and Stock Primary. The children were given a series of tricky questions, covering a number of different scientific areas, and had to choose their answers from a number of multiple choices. Earls Hall started off at the bottom of the leaderboard but then gradually gained lots of points, answering questions correctly time and time again, before eventually being crowned champions! Well done to all of the children who represented the school, we are so proud of you! Meanwhile, out of the front of the school, the children from across the Foundation Stage took part in a fun ‘Forest Friends’ session where they were challenged to create a suitable shelter for Chip the chipmunk. The children had to steady twigs and sticks in the ground and create shelter to keep their furry friend dry. In the afternoon the children in Beech took part in a debate about whether animals have equal rights to humans and the children in 6MC investigated features of the River Thames. After school the downstairs communal area was transformed to host the first night of our week long book fair. The teachers had a number of fantastic titles on offer and were visited by lots of families. The fair continues throughout the week. In the downstairs hall Miss Child hosted another funky dance session whilst out on the field Mrs Smoothy held another running club and another group of children took part in ‘Birds of Prey’ club. the children were taught all about the habits of barn owls before getting to meet one and have a go at flying it out on the field.